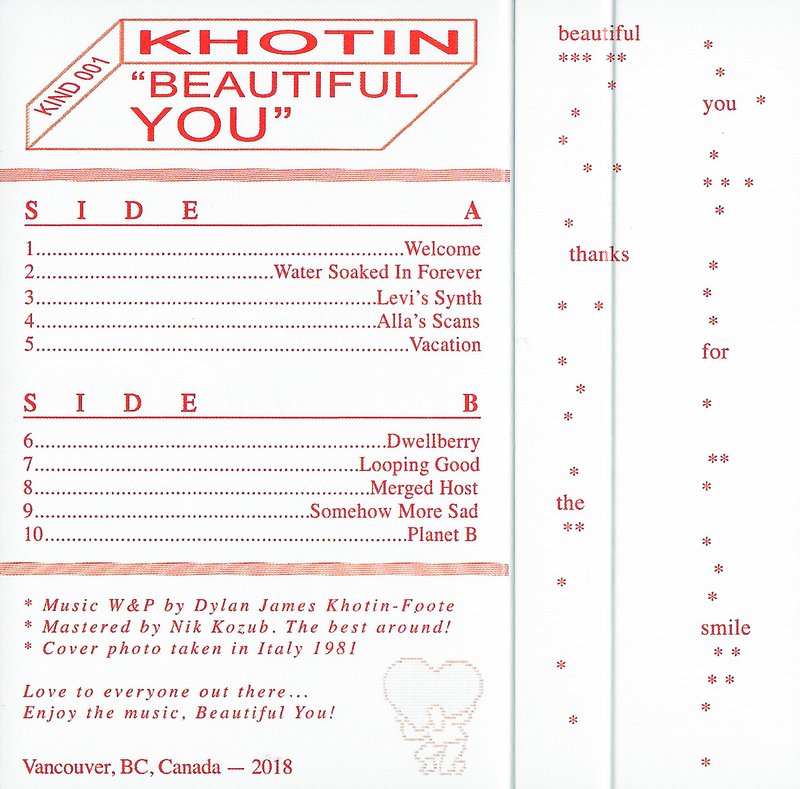 Khotin told me that the phrase ‘beautiful you, thanks for the smile,’ was scribbled on a note left anonymously on his windshield years ago, while he was parked outside of a bottle depot. His new tape, Beautiful You plays the same way, a tender and mysterious narrative. In his new release, the Vancouver house & ambient producer plays with soft percussions, lush synth, and a recurring presence of what sounds like wind chimes and birds. If his last ambient album New Tab was a musical score for a YVR-set science fiction story, Beautiful You is an OST for a romantic dark comedy following a loner looking for love. Beautiful You is out now and available HERE. Stream side A below.